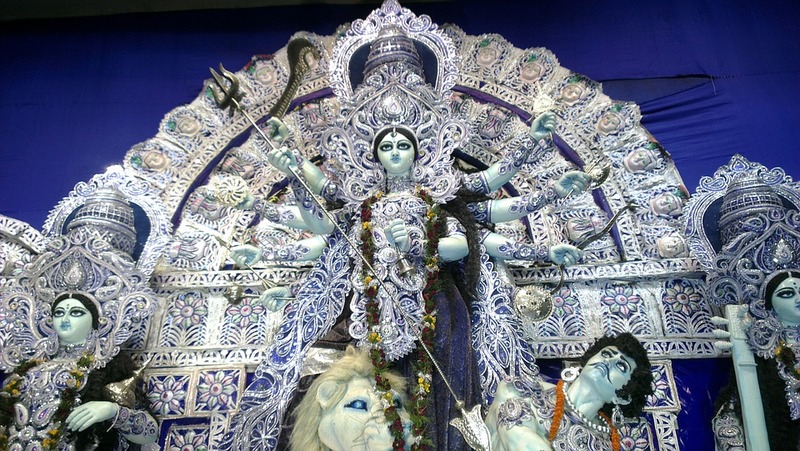 In Kolkata the idols of the Goddess are all hand made and they become even more stunning after being given the final touch. You will love and appreciate their efforts after watching the idols being made. 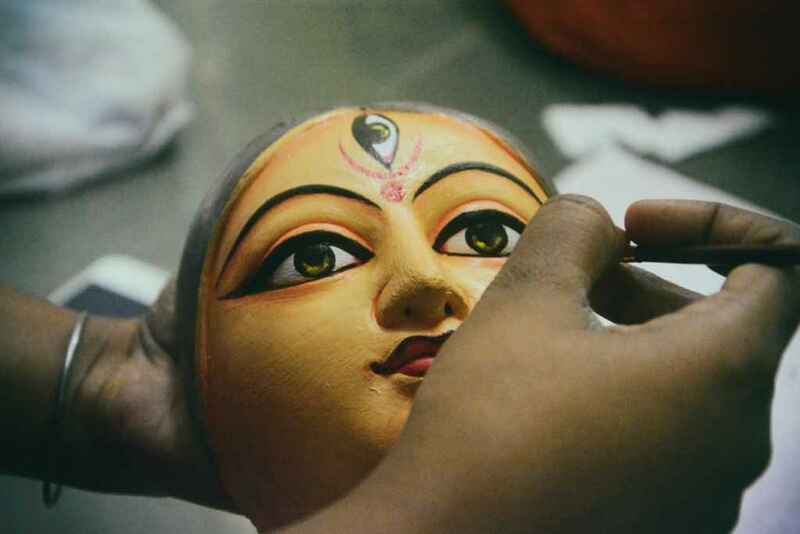 Most of them are crafted in Kumartuli in north Kolkata, so you can watch it being made. 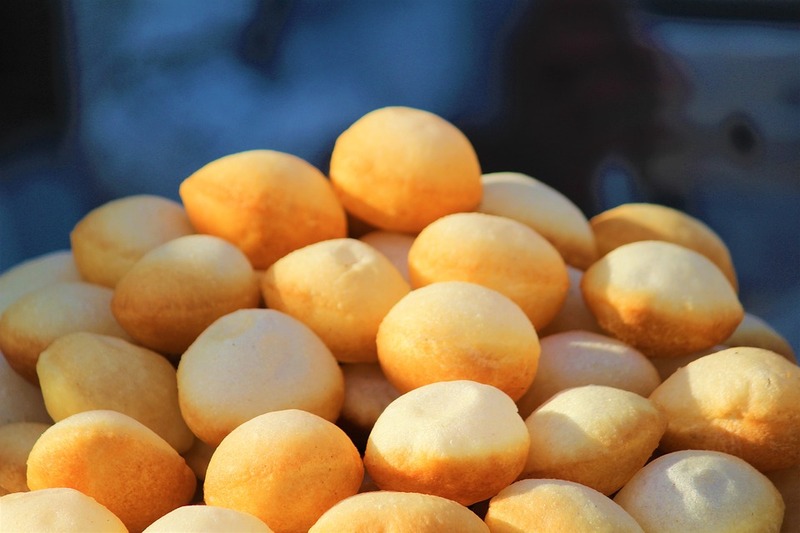 This is the time when you can enjoy some mouth watery street foods of the state. 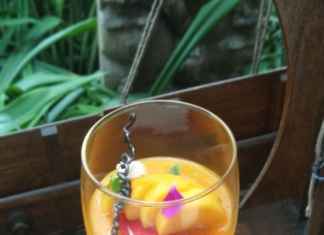 Watching various pandals and traveling you will be hungry and there are many street food options you can try. Two of the best that Kolkata’s streets serve are Rolls and Momos, so don’t forget them. The puja starts with bathing of the banana tree before sunrise. Here the banana tree is dressed like a newlywed bride. To witness this ritual visit Bagh Bazaar and Ahiritola ghats. 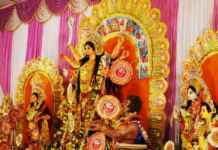 What everybody loves the most about Durga Puja celebrations is watching beautifully decorated pandals. This is commonly known as Pandals hopping and in Kolkata there are some splendid ones to watch and be amazed over its looks! 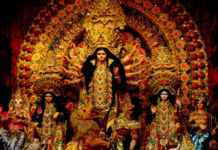 There are thousands of pandals made all across Kolkata so plan the best selected ones for your visit. Visiting in the night is generally preferred as you get to watch alluring lighting decorations, but if you visit in the morning the crowd can be avoided though. 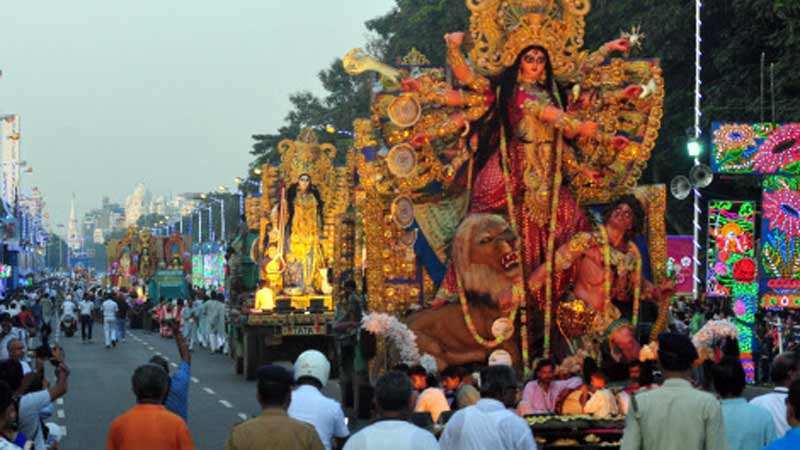 This is another significant ritual of this festival and Kolkata celebrates it with great enthusiasm. 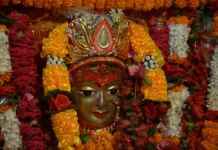 Goddess Durga on this is day is worshiped in all forms that showcases her energy is omnipresent in all beings. 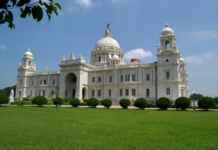 Belur Math here holds many programs for the rituals. On the last day of Durga Puja married women put red sindoor on the idols of Goddess Durga and smear the same on each other. An excellent way to watch it is by boat while the immersion is being done.